We get many questions on how the puppy purchase process works. Here’s what you need to know. Start by reading our website over thoroughly. Here you’ll find detailed info on how the puppies are raised and also specifics about each of our dams and sires, as well as profiles of our accomplished offspring. Puppy prices, frequently asked questions, and more. There is a LOT of information on our website and most preliminary questions are answered there. For more specific information about puppy purchasing (payment, travel requirements, etc), check out our Checklist. Check our Litter Plans page to see if any of the posted litters pique your interest. Please note that we aim for consistency in our litters, and only breed the type of dog that we would want to live, train and compete with ourselves. ALL of our puppies are ‘field’ bred, athletic, energetic, high drive dogs. 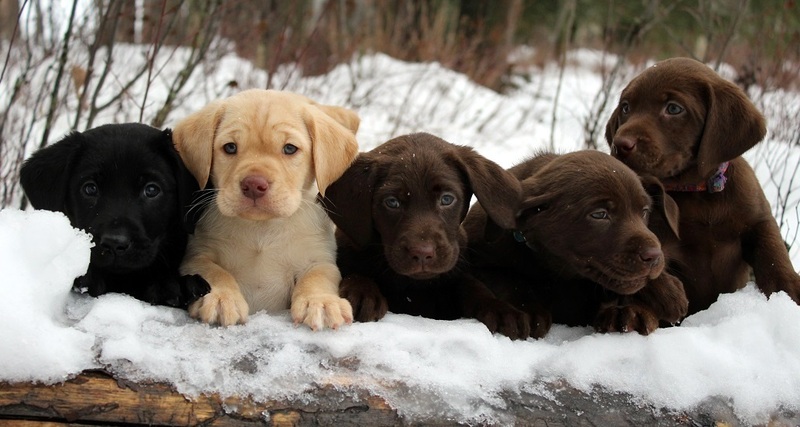 If you are looking for a mellow, low energy and/or show type lab, none of our litters will be a good fit for you. (Prices for each litter are included on every litter page, near the bottom). Read the Purchase Contract & Health Warranty. If you have questions about it, ask. This document is what you will be agreeing to and signing on puppy pickup day (not now), so it is important that the terms are clear and agreeable to you. After reviewing your inquiry, we will ask some additional questions, and may request references. We will also be able to provide references for you and if you are not local, perhaps arrange for you to meet an Eromit lab nearby. After ensuring that one of our puppies will be a good fit for what you are seeking, and that there is a likelihood of a good match being available from an upcoming litter, you will be invited to place a deposit to secure a puppy reservation. You will be notified by email when the breeding has occurred, and provided with an estimated due date for the litter. The Dam of the litter will go for an ultrasound at around day 35 of her pregnancy to confirm that she is pregnant and to ensure the puppies are developing normally. Our puppy socialization process is intense and unique, and is detailed here. We provide many photos and videos of the puppies on our facebook page. The next milestone occurs at 6 weeks when our puppies are examined by our vet and receive their first shots. At 7 week of age, they are evaluated structurally and puppies are matched to their new families soon after that. The matching process is explained here. You will receive an email once puppy matching has occurred to notify you of which puppy is yours. Puppies are made available for pickup at 8 weeks. We do NOT release puppies any sooner than 8 weeks. Puppies need to be picked up by 9 weeks of age unless prior arrangements are made (boarding fees apply starting at 9 weeks). On puppy pickup day, you will provide the balance of the funds owing for the puppy, and sign our purchase contract. We do not ship or deliver puppies. We want to stay in contact with you for the life of your puppy! Please keep us updated with any progress or challenges you experience. Photos are greatly appreciated and we will invite you to join our exclusive facebook group for puppy owners to ease staying in touch. We also LOVE to get visits from our puppy owners so plan to stop in if possible in the future for a family reunion!